We were invited to participate and attended last years inauguration courtesy of Microsoft’s Coding4Fun team. The Coding4Fun team must like us a little, because they invited us out there again this year, to demonstrate some of our products to attendees. This is the most unique festival we’ve been to. Our good friend Amal Graafstra hopes to also attend! The line between PCs and Microcontrollers continues to blur with the latest board from Via. 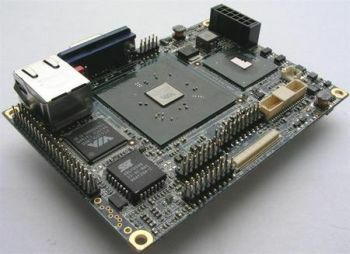 Via is readying a media-oriented motherboard in what could be the next popular size for small form-factor PCs: Pico-ITX. 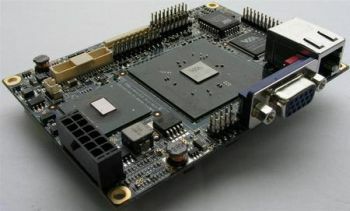 The “Epia PX” board measures 3.9 x 2.8 inches and features a 1GHz C7 processor, along with rich audio/video I/O, albeit mostly on pin headers. 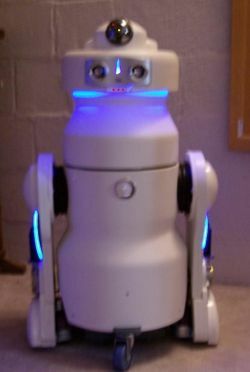 Incredible PC based home robot project! Today’s featured robot is by Jeff Terrell. 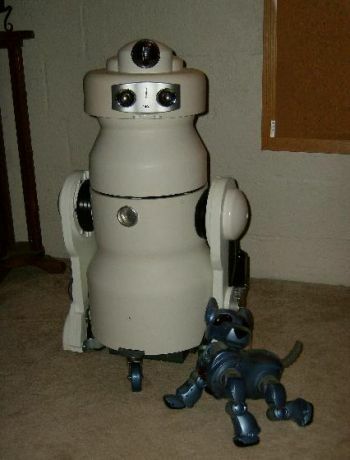 Jeff proved that you don’t have to spend a million dollars to build an inceredible home robot. His robot is further proof that PC based robotics is the future of hobby and educational robotics. Jeff is one of our customers and avid community member. He built an incredible mini PC based home robot using a lot of creativity and ingenuity. Jeff really has a passion for robotics and it shows. Here is a list of some of his robots features below. To read more visit his forum thread here. The body is constructed from dense PVC plastic. I used Industrial size drainage PVC and the Legs are made from PVC sheeting. The head moves 180 degrees left and right. Has blue neon flex strip under the heads edge, lights up 360 degrees. The mouth is a thin red LED strip under the eye panel and lights up with speech. The section below the head (upper body form) also moves left and right 180 degrees. Movement is obtained from Giant Scale HiTech Servos in Servo Power Gearboxes from RoboZone. There is a Logitech Orbit webcam atop the head which has pan/tilt. Using RoboRealms Vision Software to do visual tracking. Also attempting to use Strabo Pathfinder from wehali.com for mapping with encoders and hopefully soon with IRs and sonar and visual imaging tools. Plan to use the EZ1 Sonars and IRs with Phidget Interface modules. The eyeplate is a stereo speaker module that connects to the mother boards sound card which utilizes AT&Ts Natural Language Text-to-Speech Engine. The round front vent has a small computer fan inside. The legs and feet contain gearhead motors and wheels. The feet have bumper contacts switches in them. The Drive system is composed of 2 Devantech MD03 H-Bridges and a Nubotics motor controller with US Digital Quad Encoders. 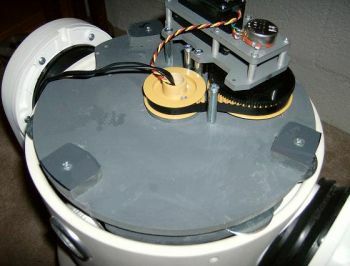 The Motors connect to the wheels via timing gear and belt assembly. Computer is a Biostar micro ATX Mother Board with an AMD Athlon 4600 64×2 Processor Has 160g Sata HD and 2g of DDR2 Ram. Power Supply is a M2-ATX from Mini-Box.